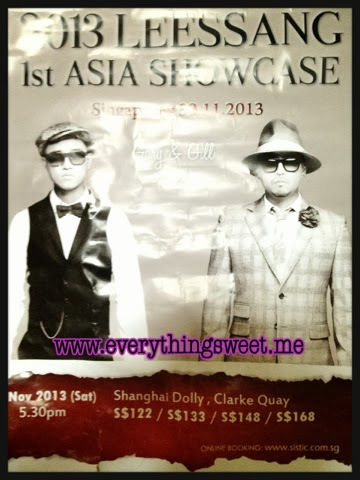 Leessang held their first showcase in Singapore on 30 November 2013. 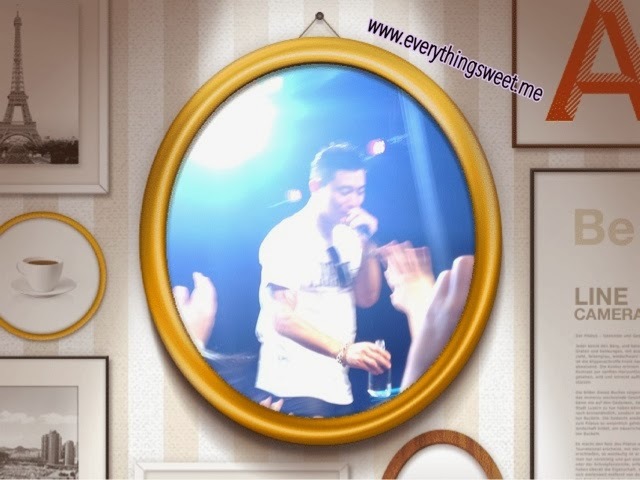 My friend who is a fangirl of Gary told me about this fanmeet. Swept by her enthusiasm and under the influence of the recent Running Man fever, I bought the category 1 ticket! 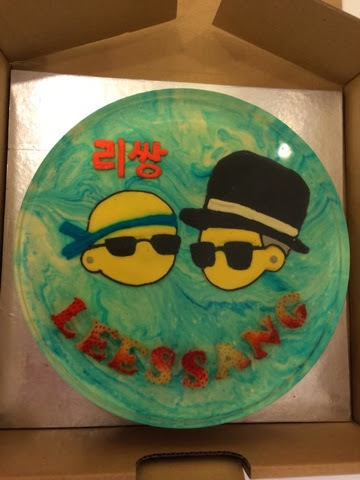 This friend of mine who set up Leessang Singapore Fan Page decided to plan a surprise for her idol. She even proposed her idea to the organizer - Fast Track Events! Even more surprising was that the proposal was accepted!! My friend spend a lot of time and effort for this special event. In addition, she made a cake specially for Leessang (above) and even made clover leaves (below) and gave it to the people who attended the event. 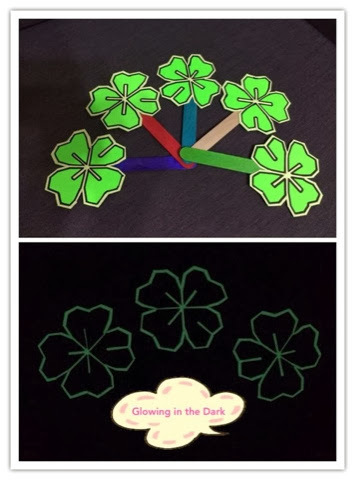 Alas, the arrangement fell through and did not go according to plan with an explanation that the clover leaves did not match the theme of the event that day. 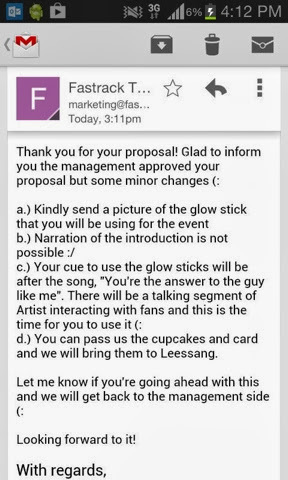 With this 'explanation', my friend's time and effort went down the drain (than again it is a massive coordinating effort on part of the organizer, fan club and management of the ones to perform). Speaking of the showcase itself, I was rather disappointed with the arrangement and planning for the event. 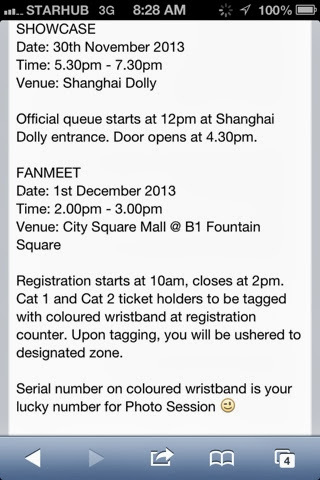 First of all, there should have been clear instructions about what time the doors at Shanghai Dolly will open. Despite having stated 4.30pm, they let the fans go in at 4pm. I understand that it is a small space to accommodate almost 800 over people, however, they should have prioritized via categories (like boarding Singapore Airlines). Although I have not (yet) attended that many fanmeets, this would have to be on my list of one of the worst fanmeets ever! Not only did fans have to queue up for hours just to get in, it was an unruly mess. For the amount of money we paid, they should have made the wait less horrendous by calling in order of categories, I mean that's the reason why the pricing is different, right?! Else it might as well have been a free for all and tickets set to a standard pricing to lower expectation. The merchandise booth was unappealing, so much so that all we could think of was to just get our ticket check and go in. As usual, we were told not to take any photos, but security was lax. Upon entering we were given some leaflets (about Korea Tourism Board - a smart move because who wouldn't want to go visit Korea when its on promotions and have the chance to meet your favorite star?) and a ticket in exchange for free drink from St. James Power Station (they could have just handed out drinks though), along with a giant poster was given out to all tickets holder. It would have been useful and more marketing sense if they had placed them all in a paper/plastic bag. Imagine lugging around the cumbersome things while attending the fanmeet, and trying to take photos and enjoy the music at the same time. -_-"
The event was free standing so those who came early occupied the best spot. Looking at the back, the category two seem pretty good too. At least their view was not blocked and they are standing at a elevated platform which is higher than the people in category one who stand on the ground floor. We waited for half an hour and was already tired from the waiting. There was not much of an excitement like what we felt the previous time at Running Man Fanmeet. 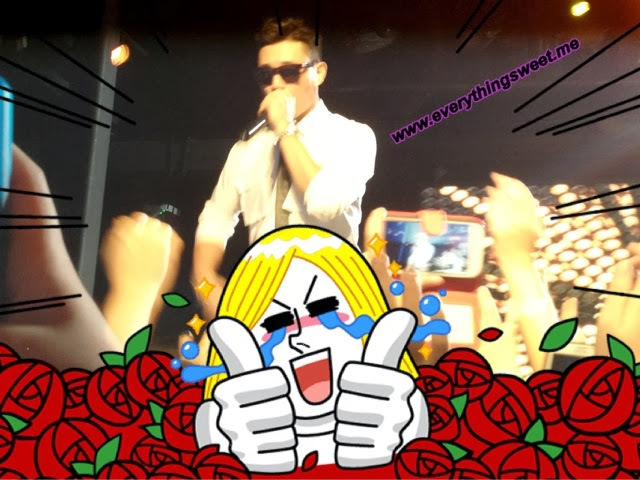 There was a short video of Leessang involvement in the variety show: Gil in Infinity Challenge and Gary in Running Man. Finally, our long awaited Leessang came onstage and belt out their famous hits such as: Remembrance, You are the answer to a guy like me, Turn off the TV, Tears, The girl who can't break up, the boy who leave. Both Gary and Gil look smart in their dressing. Especially Gary look exceptionally sparkling on stage. I admit that I am bias since Kookie Running Man is my favorite Korean Variety show. After the performance, they mentioned that they are supposed to change their clothes but got too carried away with their performance. After that, the MC of the event came onstage with the translator. Prior to the show, the organizer had collected some questions from the fans. Leessang were seated on the chair as they answer their fans queries. One of them asked Gary when is he getting married and the fans immediately shouted 'Song Ji Hyo!' He replied Singapore girls and the fans shouted Song Ji Hyo instead. Leessang was asked about their impression of Singapore and Gary said that Singapore is a nice place to stay and he is considering that. They also mentioned that the girls in Singapore are pretty. After that, they were asked which club they will go to after the showcase. While Gil replied that he is unfamiliar with the clubs in Singapore, Gary mentioned that he had visited Zouk the other time during Running Man Fanmeet. At the showcase, Leessang stated that they have known each other for 17 years and both of them wrote Leessang songs. Gary will release a solo album soon, somewhere in April next year. This is a secret which they revealed in Singapore. The translator at one point was lost in the translation. Leessang teased her in a joking manner. The next game is pepero game and a lucky fan will be hand picked from the crowd. Who else to play the game with other than Gary? The host jokingly asked if Gary will play this game with a guy, he immediately request for a lady to play the game with him instead. 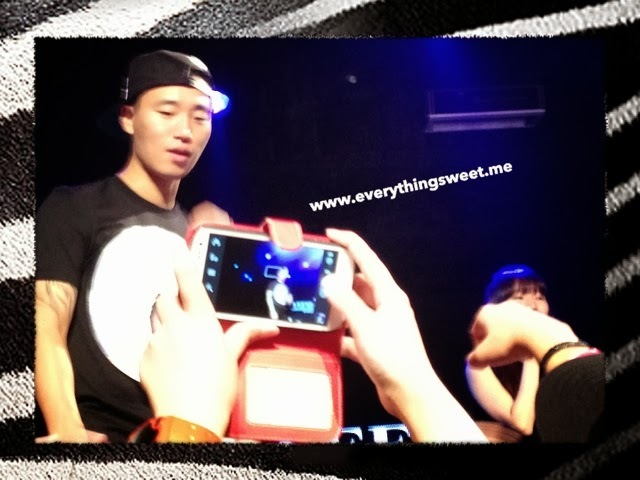 This lucky fan was able to answer the question about Gary birthday and was selected to go onstage. Naturally, all the fans wanted to be pick, therefore, when this fan went onstage and was kissed on the lips by Gary, I heard hearts breaking. 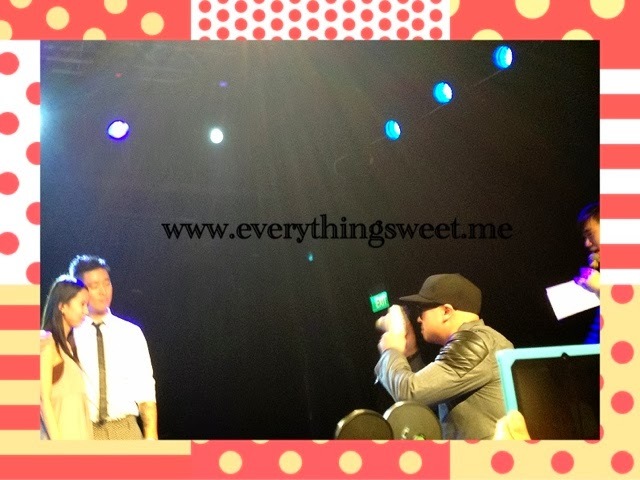 They even took picture onstage while the rest of the fans looked on with envious and jealous eyes! During the performance, some security guards move around and stop fans from snapping photo and taking video of the performance. It was rather annoying to me as their presence disturbed the performance. Leessang changed their clothes and came back on stage with other hit songs such as Ballerino, Pursuing the happiness, Hope and I'm not smiling. They moved around the stage and shake the fans hands. Towards the end of the performance, they even spray water from bottled drinks and threw a towel and cap. In order to please the fans, they signed on caps and album handed to them from the fans near the stage. 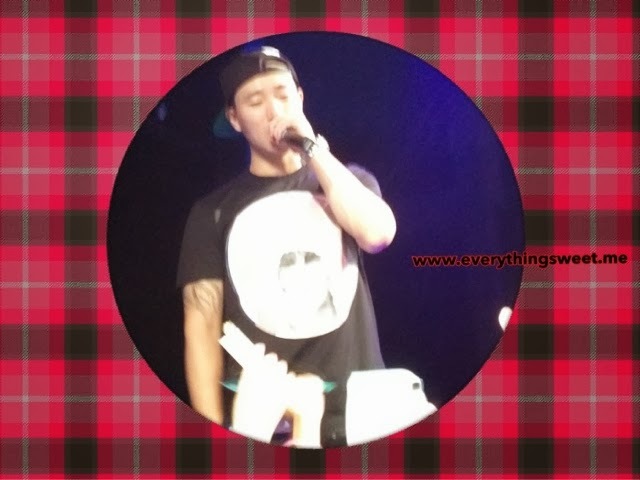 Gary wore a Mickey Mouse headband and Gil exchange the cap he was wearing to a fan who was holding another cap near the stage. The audience shouted encore and after some time, they came out and sang the last finale song: Hard to be humble and Our meeting. Time flies and they announced that the Showcase had ended. However, when we looked at the watch, it was only 6.45pm. Isn't it a two hours showcase? It is not even 7.30 yet. 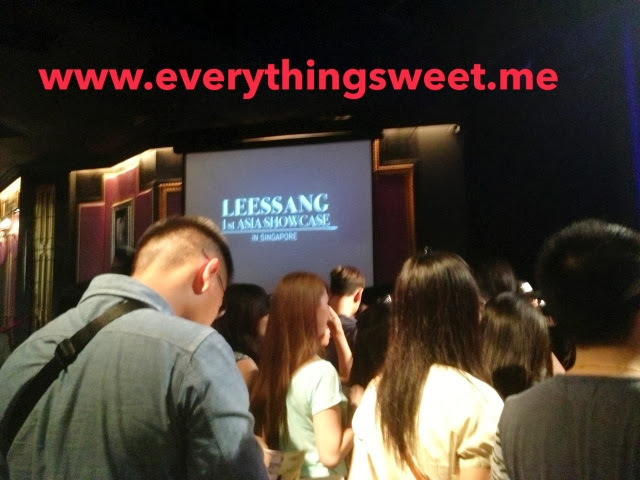 Many did not not leave and Leessang have to come out again and officially put a stop to this showcase as they thanked the fans and encourage them to come for the High-5 event the next day at City Square Mall. Before we left, there was a booth at the side to offer a cup of free drink. Many did not take the drink and some of the fans left behind the leaflets and some giant posters which were cumbersome. I personally felt tried of waiting at the queue and stood there waiting for the showcase to begin. The feeling was 'meh' and the rain further dampen the mood. Iceprinxess told me that since I am here, I might as well enjoy myself and make the best out of it. YES! I did enjoy the party and took some good pictures. However, I felt short change by the organizer as they officially stated that the showcase starts at 5.30-7.30pm! I heard there were supposed to be some games or songs to extend the time but it was cancelled later on. I would have gladly sell the ticket if I know that this is going to happen. The organizers did not plan the showcase properly at the first place. Everything was rushed, just like the name of the event company: FAST TRACKS! 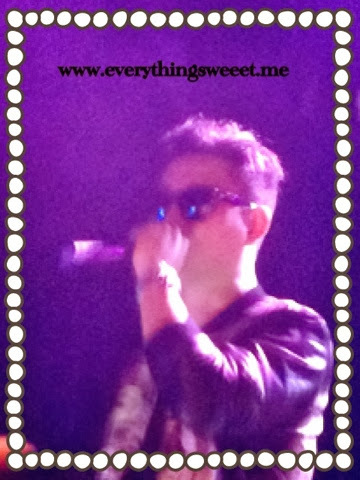 Anyway, ironically, I did enjoyed LeeSSang performance because I am not a big fan of theirs. Since expectation is not that high, I get to enjoy myself better with my friends too. 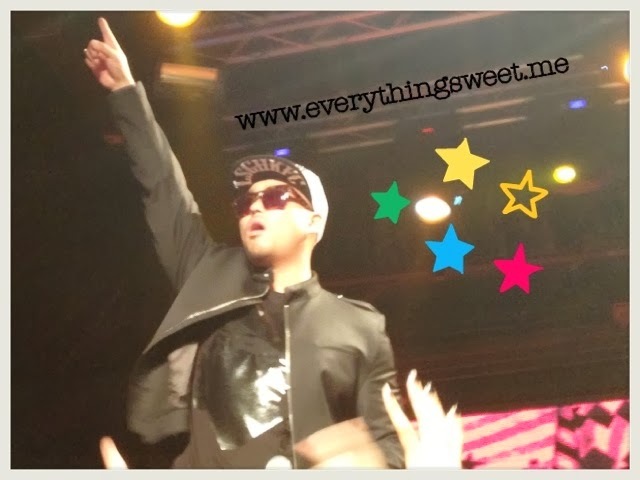 Let's wave and shout Leessang!! !